Home › What is an SSL-Certificate › How to get an SSL-certificate? How to get an SSL-certificate? To protect your website from hackers, you must get the SSL-certificate. How to do it? There are several ways to get the SSL-certificate. SSL-certificates can be purchased from various suppliers. Many domain resellers offer to their customers SSL-certificates (often as a set with the domain), and there are separate independent company offering only SSL-certificates. Initially you can try to ask the company in which you have purchased SSL-certificates (or plan to buy), to see if the company offers certificates or any other set, which would have included the certificate. If not, then in that case you can easily choose for themselves a few reliable options over web. Before you buy a certificate, take a few minutes for it to choose the right type of certificate for your site. Basic SSL-certificates cover only one domain. However, you can also purchase a multidomain certificates and wildcard certificates that cover multiple subdomains. Prices for paid certificates usually range from 30 to 50 dollars/year per domain. If we take the wildcard or multidomain certificates, then prices can reach up to 300 dollars/year or more. Free certificates – is, for example, Let’s Encrypt. This initiative is related to the SSL / TLS-certificate, offering for free. However, this service is still in beta, ie may have various errors and bugs. For major projects free certificates will not work, so it is best to buy a paid SSL-certificate. As you can see, the best way to get the SSL-certificate is purchase it. 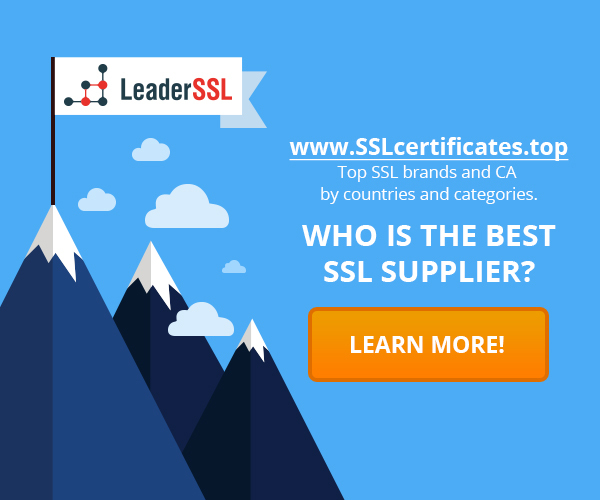 We recommend buying a certificate from resellers, because their prices are usually lower than price in CA, and they offer customer support in the native language of the user. ‹ PKI: an ideal solution or source of the problem?